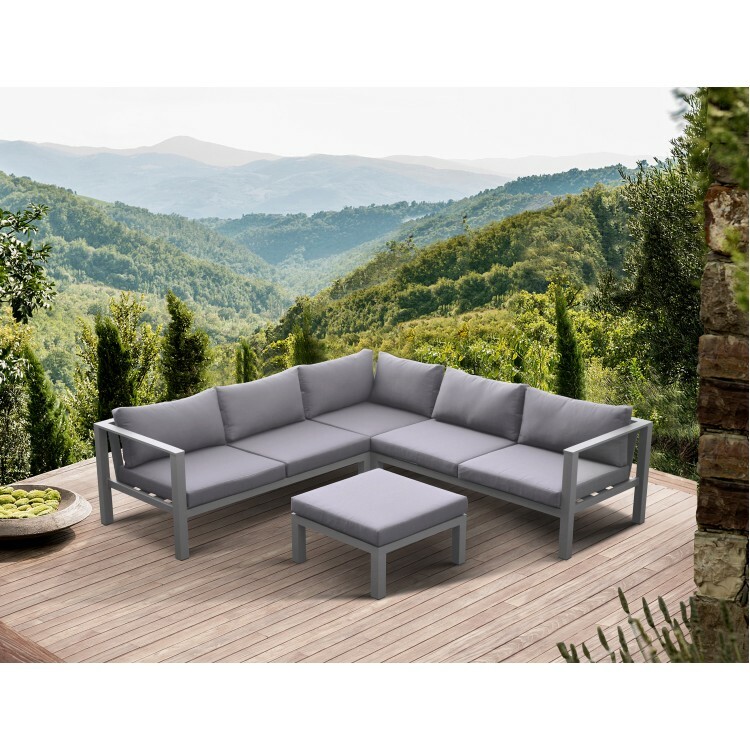 The Armen Living Cliff outdoor patio sectional set is an exceptionally crafted contemporary collection that is certain to enhance the beauty of any modern patio. 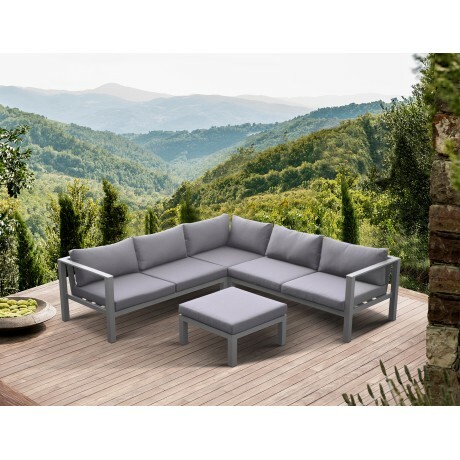 The Cliff set features three sectional pieces ideal for seating multiple people and an elegant, plush ottoman. 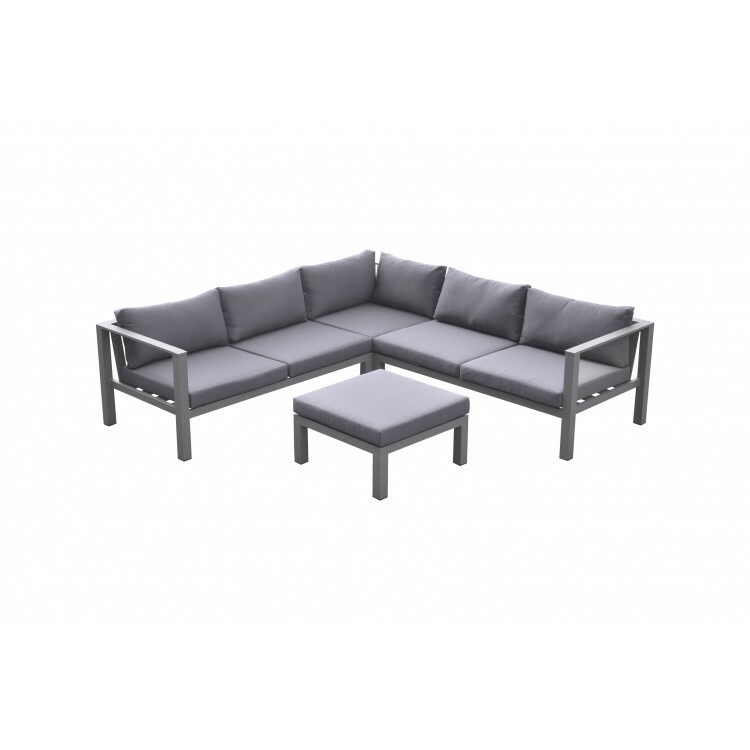 The Cliff pieces are made from durable grey powder coat finished aluminum frames that assure long lasting dependability and easy, lightweight movement. 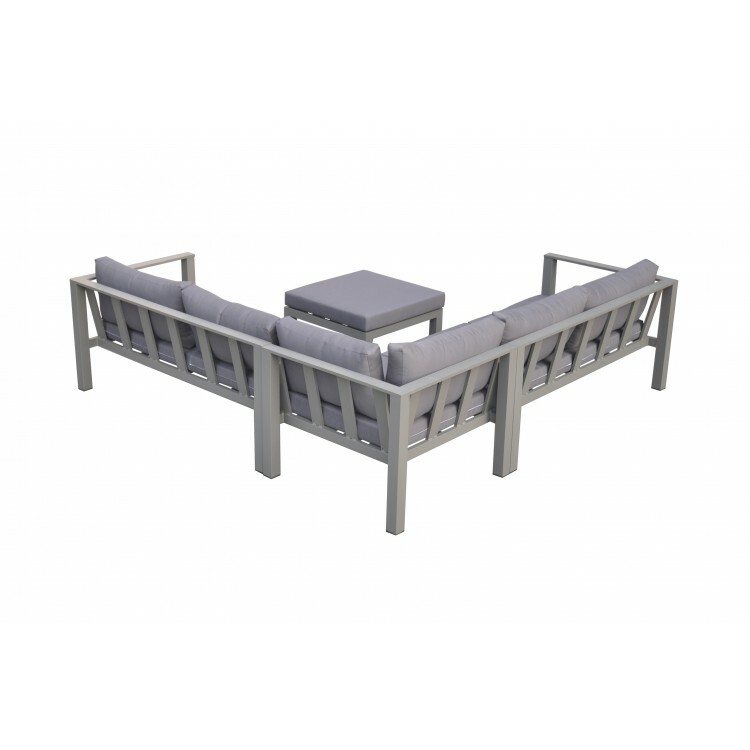 The padded seat cushions are perfectly complemented by the plump back pillows, providing an exceptional degree of support without compromising on the overall modern style of the set. 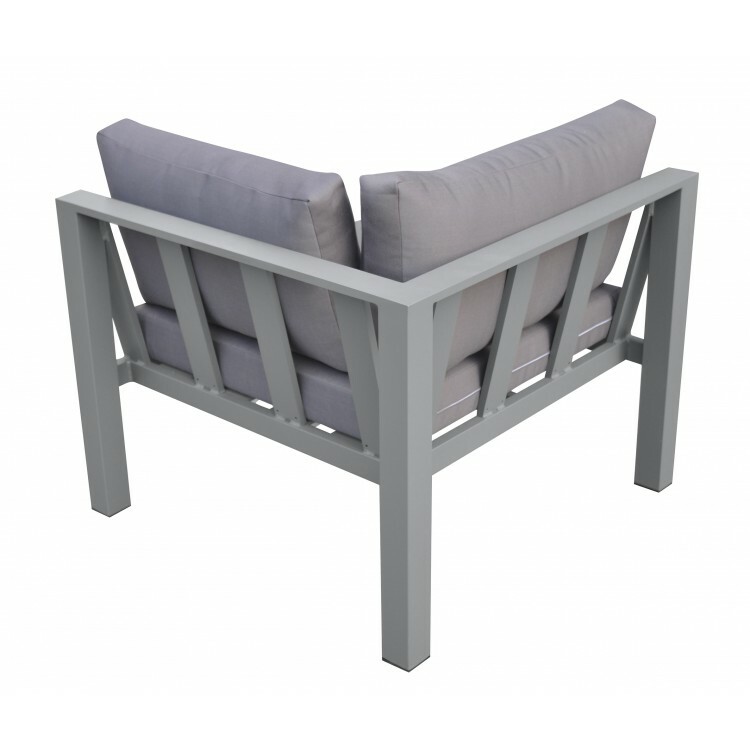 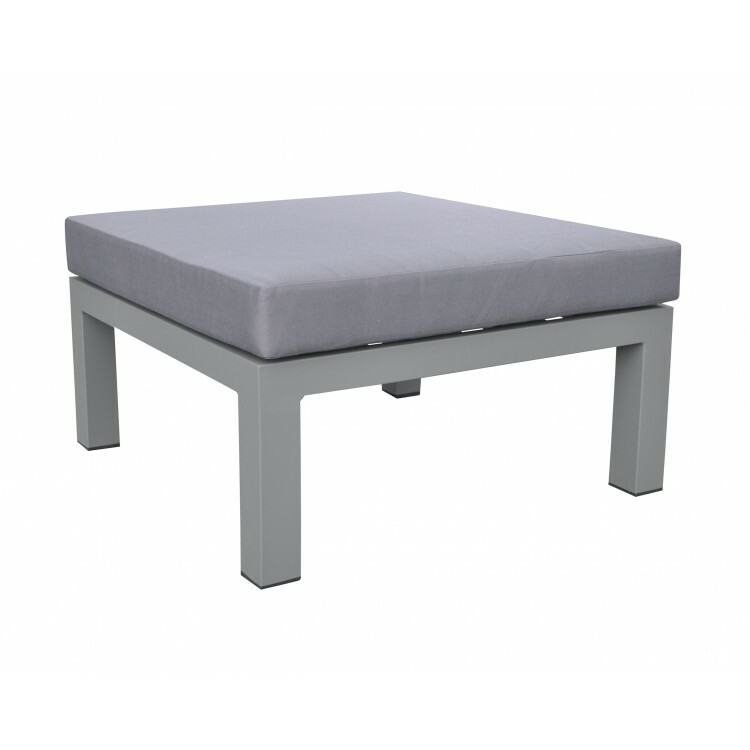 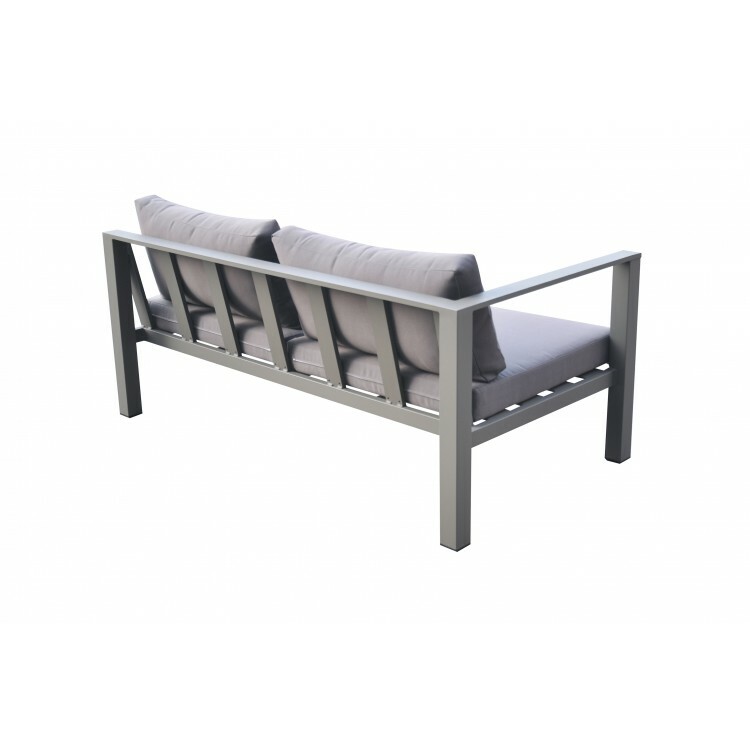 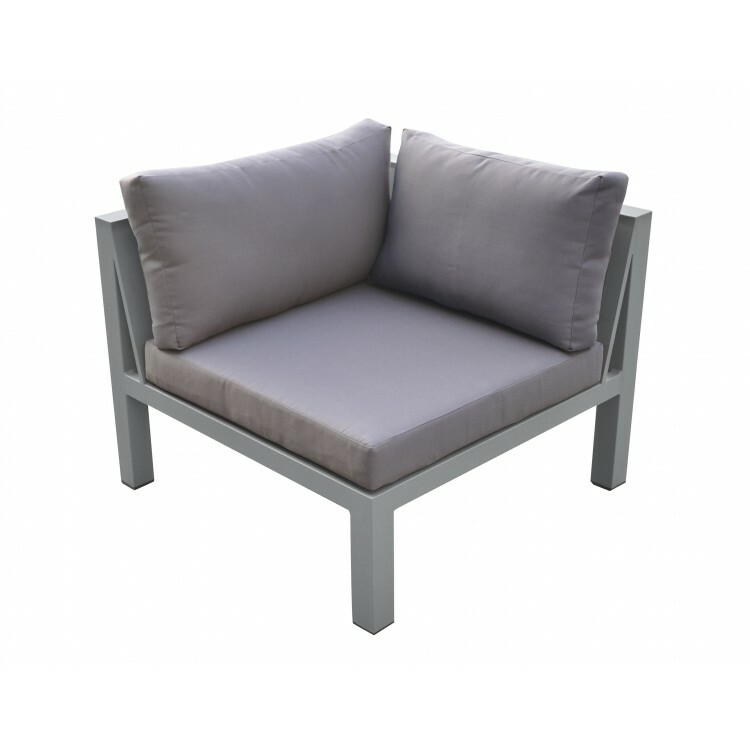 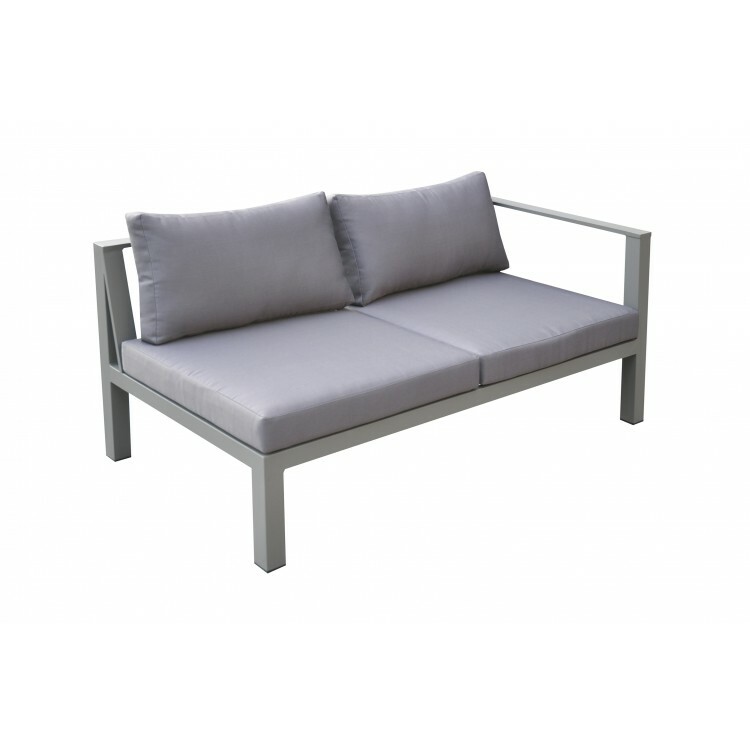 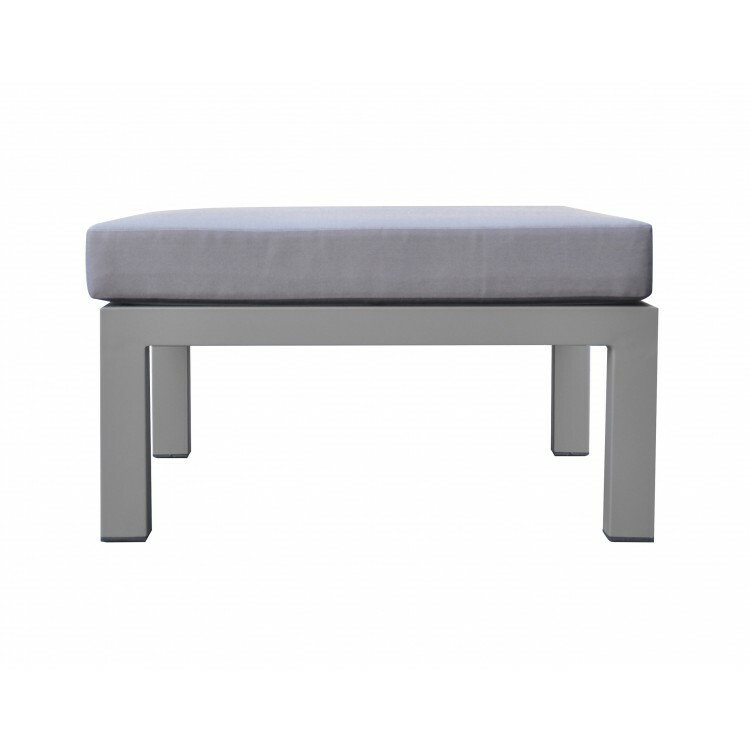 The Cliff set comes in a grey powder coat and is available with grey fabric cushions.